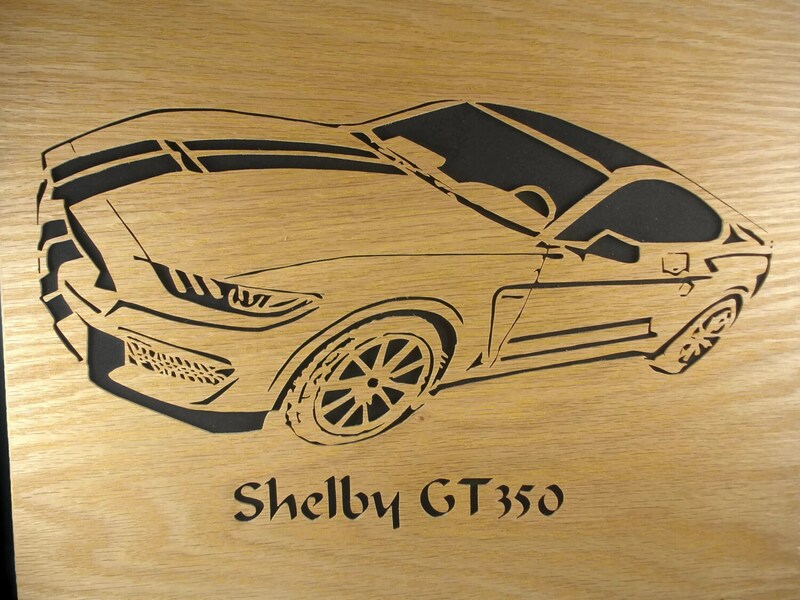 If you or someone you know likes cars, American muscle cars, specifically the Ford Mustang GT350's then this wood cut Ford Mustang GT350 is the perfect gift to get yourself or that special friend..
Decorate your room, office, garage, or mancave with this awesome wooden hand cut portrait of the Ford Mustang Gt350. 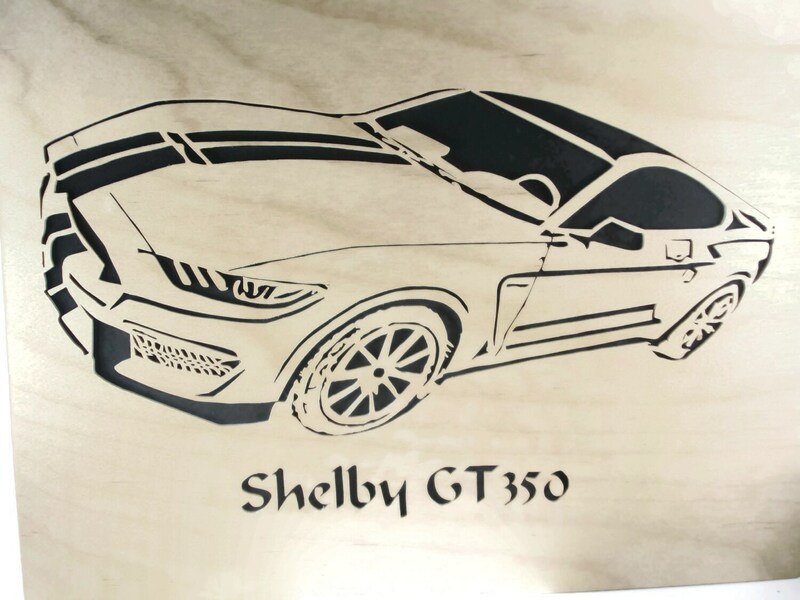 This Ford GT350 was cut by hand using a scroll saw from your choice of Oak or Birch 1/8 x 11 x 14 inch plywood. 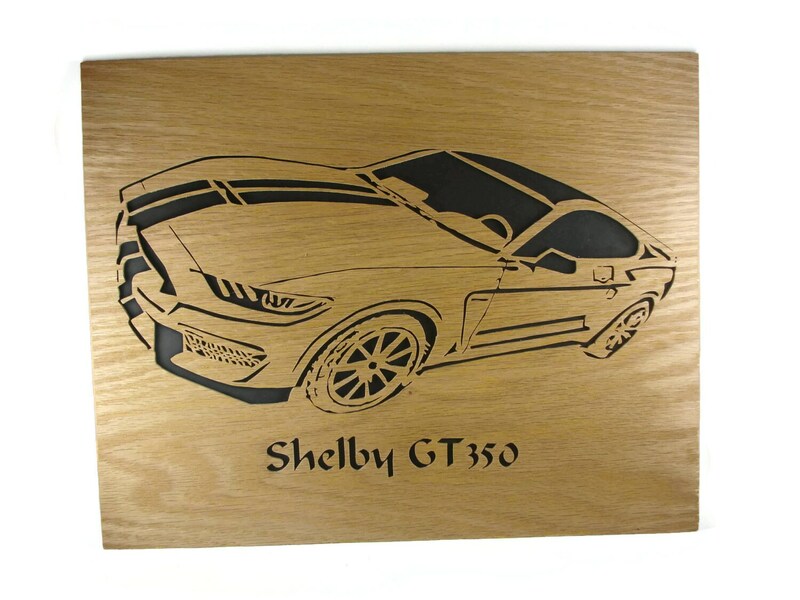 This was finished with a satin clear polyurethane spray. 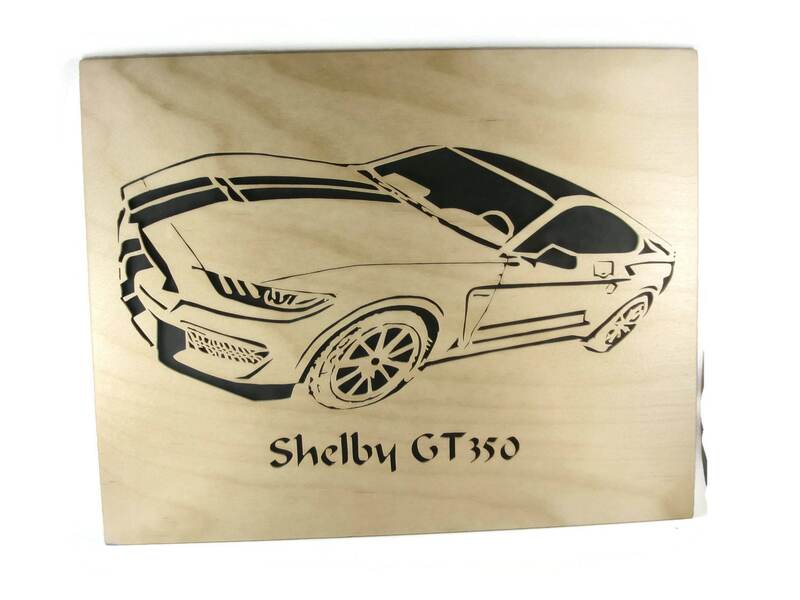 A black foam sheet backer was glued onto the back side to enhance the details of the cutting. NOTE: This is designed to be inserted into a photo frame.